Buying the Big Jets – Live! Home Buying the Big Jets – Live! Buying The Big Jets – Live! is a four or five day in-company teaching programme based around the book of the same name. The course addresses the activities and range of actions needed to conduct an effective evaluation of aircraft types. If you are involved in network or fleet planning within an airline, or if you are a consultant, analyst, aircraft appraiser, leasing company, financial institution or student of air transport, you will find this course of value. As with any Through The Looking Glass programme, the content and course length can be customised to an organisation’s requirements. (The above image is courtesy of PACE). 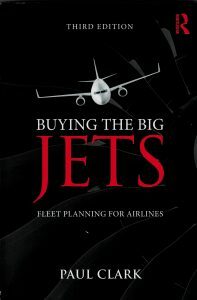 The course is closely based on the third edition of Paul’s book, Buying The Big Jets. This is the only text book that covers the subject of fleet planning. The book is essential reading for fleet planners and anyone with an interest in understanding the complex and challenging world of aircraft evaluation. Buying The Big Jets – Live! consists of a blend of formal teaching sessions and hands-on workshops. Participants have plenty of opportunities to try their hand at analysing markets, building a capacity model, defining the aircraft cabin, and working with aircraft economic comparisons. What skills can I develop and improve upon? How would I benefit from Buying The Big Jets – Live! You will learn the full process of how aircraft are evaluated. You will update your understanding of the manufacturer product strategies. You will be exposed to modelling techniques used by fleet planners for both small and large networks. You will have the opportunity to practice your skills in presenting a fleet plan to an audience. A sample schedule for Buying The Big Jets – Live! The example below is based on a five day programme, but the programme length and content can be customised for specific needs. Through The Looking Glass has partnered with PACE, who have granted access to their Pacelab Cabin software for the purposes of the programme. The teaching method was well-organised and we were encouraged to participate. The materials were very helpful and the way Paul conducted the classes made it very interesting.